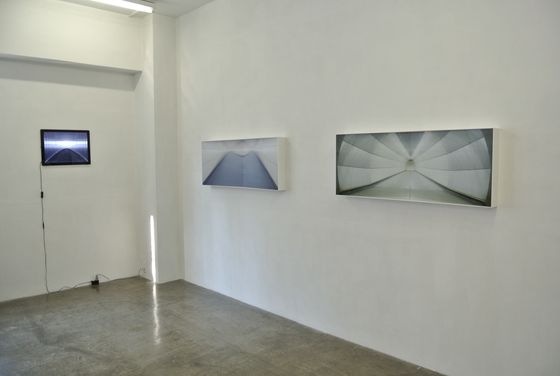 After moving back to Tokyo from Paris last summer, Kyoko Nagashima held an exhibition at gallery 360 degree in November, 2012. Through her new work series “there”, she provides a place for viewers to think about who we are. She told us about her interest toward the subconscious characters which we all may have. 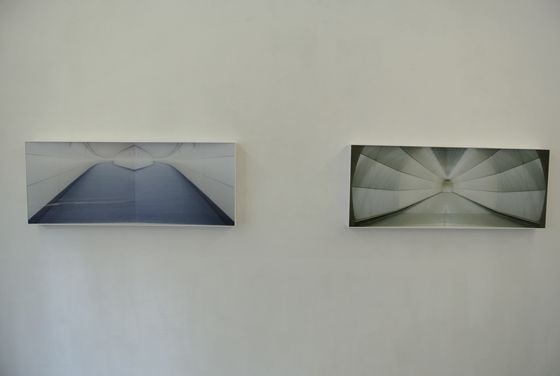 Kyoko Nagashima “THERE” series at gallery 360 degrees. Subconscious “shadow” in the human mind. Q. 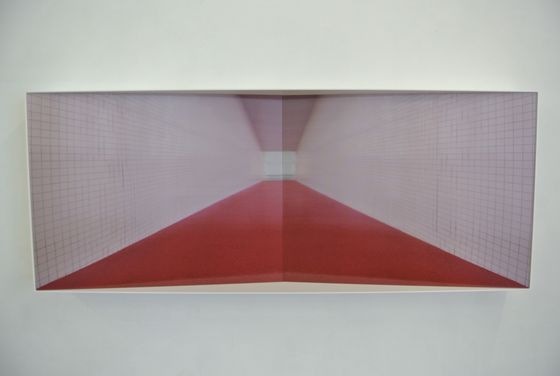 What does the exhibition title “There” implicate? 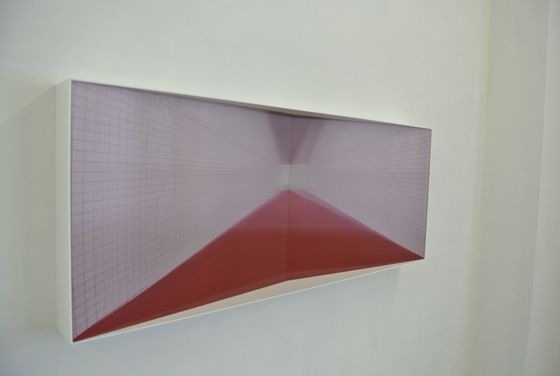 I wanted to create a distance between the viewer and the space inside my work. 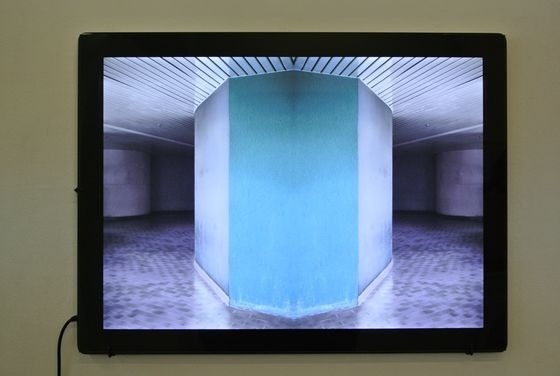 “There” is a space where the viewer can place their “shadows”. Therefore, I used a new technique in this series to emphasize the spatial depth spread inside of my work. I created a space where the viewers can mentally transfer themselves. Kyoko Nagashima “THERE”. The image fluctuates when you see from different angles because of the lenticular lens. Q. What do you mean by “shadow”? I was inspired by a book titled “A Phenomenology of Shadows” written by Hayao Kawai who is a Jungian psychologist. Human beings don’t consist of visible characters but of invisible characters hidden under pressure. Even someone who looks calm and composed, is not just that. He or she must have a violent character too. Kawai calls this hidden or pressured unseen part of a human being, a “shadow”. There are some tragic murders executed by people who look calm. I got interested in that shadow part of human beings and wanted to create works that made people conscious of their own shadows. 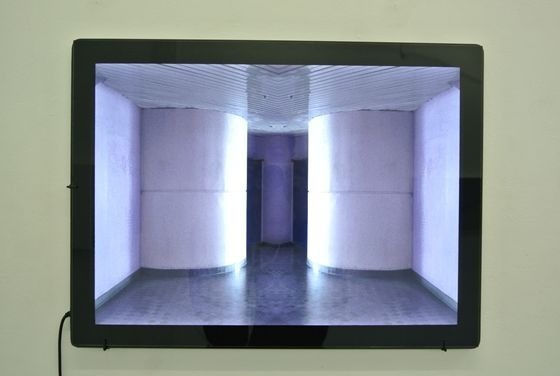 In paticular, the “There” series is a kind of device that gives the viewers an opportunity to notice their shadows. Q. 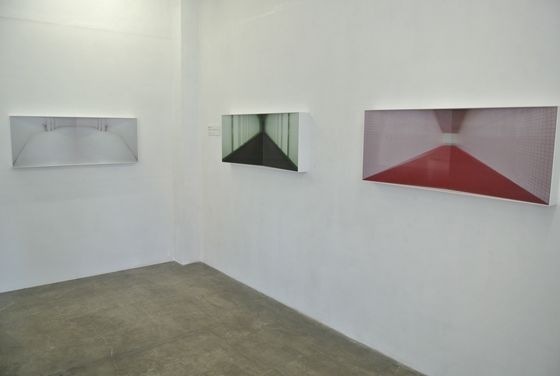 How has your expression of “shadows” in this exhibition changed compared to your previous work? I have actually been working on this subject for the last ten years. 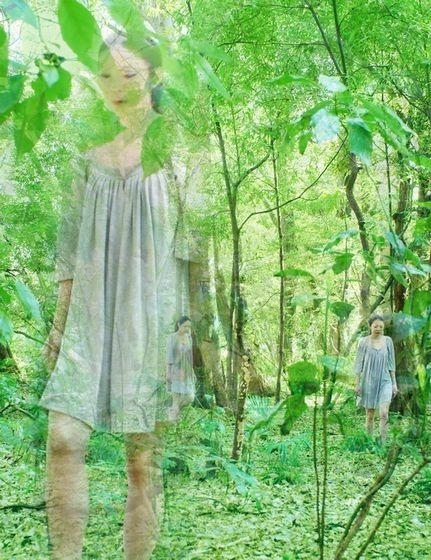 In the “tune” series, I created a photograph with a girl moving in the woods. The girl was an object on which viewers could put their “shadows”. “Tune” had two part in the work when the lighter part represents the visible image, the other darker part represents the invisible image. But at some moment, it flips over and the invisible part turned into a visible part. For example, it just like when you are dreaming. You see your subconscious invisible image instead of the physical visible image. I don’t consider the visible part superior to the invisible part. They are simply equal. But I tend to see the invisible part as a negative part of human beings. I set up the image by first deciding what kind of girl to use and what kind of place to use as the stage. But in my latest series “There”, there is no strict staging, but I cut out the scenery from places where I actually walked by. While I was working on this project, I saw many walls and pillars and imagined how it would look if I symmetrized them and was excited to find a good one. 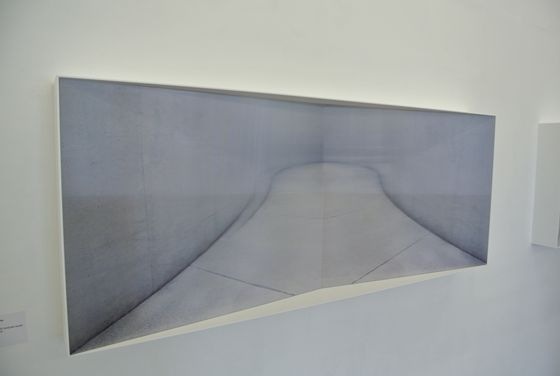 Kyoko Nagashima “THERE” at gallery 360 degrees. -Why do you use lenticular lenses in your work? In my early career, I wanted to capture the width of time in my work. Photography is a media used to capture one moment but I wanted to show the time before and after that moment. That is why I started to work with reticular lenses. I could include consecutive images in one work. Kyoko Nagashima “There”. 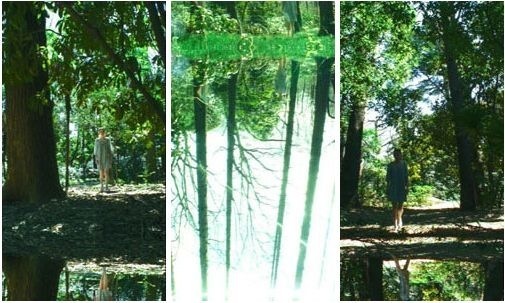 The image fluctuates when you view it from different angles because of the lenticular lens. But in the “There” series, I used it as a technique to create depth in the image. There are 3 images used in this work. One is the original image I took and copied symmetrically, the other two are manipulated from the original image as it looks altered in the middle to emphasize the work’s depth. It is a different technique from using 3 perspectives to capture one object and creating a 3D image. 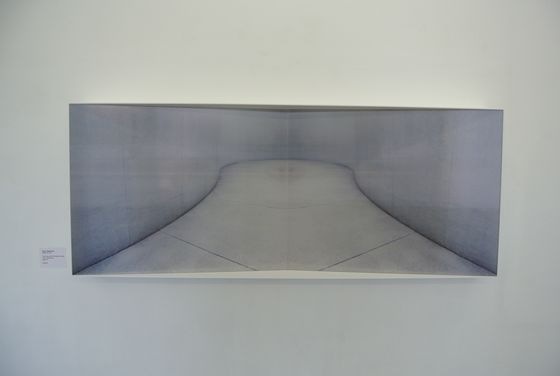 -This work (above) is not a lenticular lens work but still has depth. This work is made of a light box simply lighting the photography from the back. It is like a place where the “shadow” will be lightened. Unlike other artists who were eager to be in Paris, Nagashima happened to have a chance to live there. Comparing herself to others, she is self-critical for not pushing herself aggressively and enjoying the party to grab any chance. However, she never felt like returning to Japan during her stay in Paris. She enjoyed the diversity of foreign cultures ranging from Eastern European to Chinese.? It seems like she discovered her own “shadow” character through her life in Paris. interviewed on Nov 1, 2012, by Rasa Tsuda.